What Is The CMPX 2018? The Canadian Mechanical and Plumbing Exposition is one of North America’s largest trade shows for the trades. The size of this show in our industry is unique in Canada, with no other show comparing to the CMPX in size or number of exhibitors. For the 2018 event, there will be over 500 exhibitors. The event is a “source of products, information, equipment and applications for industry professionals.” Trades workers in plumbing, HVAC and mechanical contractors, technicians, wholesalers, engineers, architects, government personnel, manufacturers reps, trades teachers, trades students, and more will be in attendance to show you exactly what learning and working in the trades is all about. The CMPX takes place March 21-23, 2018 at the Metro Toronto Convention Centre in Toronto. 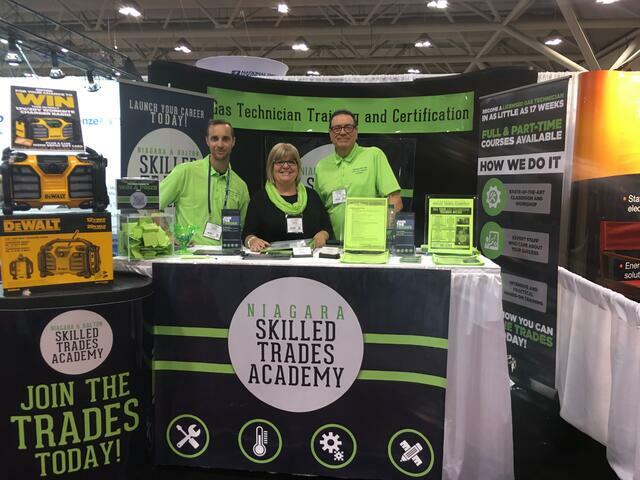 The Skilled Trades Academy is excited to be in attendance as an exhibitor at the skilled trades show, and we invite you to come to the event and swing by our booth. This event is for anyone with an interest in the trades, including those who are interested in taking a course but have not yet. The Skilled Trades Academy will have a booth to provide information on our courses, and the value of a gas technician license. The rest of the CMPX show will also be valuable for attendees. The tagline for the show is “one show - the entire industry” and that couldn’t be more true. You will be exposed to information about the latest equipment and products in the industry, as well as the latest codes, legislation, and regulations in the industry. You will also have an opportunity to network, which will be incredibly valuable after you graduate. The Skilled Trades Academy will be attending the show, and you can come by our exhibit and learn more about what the Skilled Trades Academy has to offer. We are located at booth 1223. We hope to see you there!